ACTIVITY LEVEL: Moderate. Walking in fields, on wooded trails and uneven terrain. Autumn foliage is bold and vibrant in West Virginia. 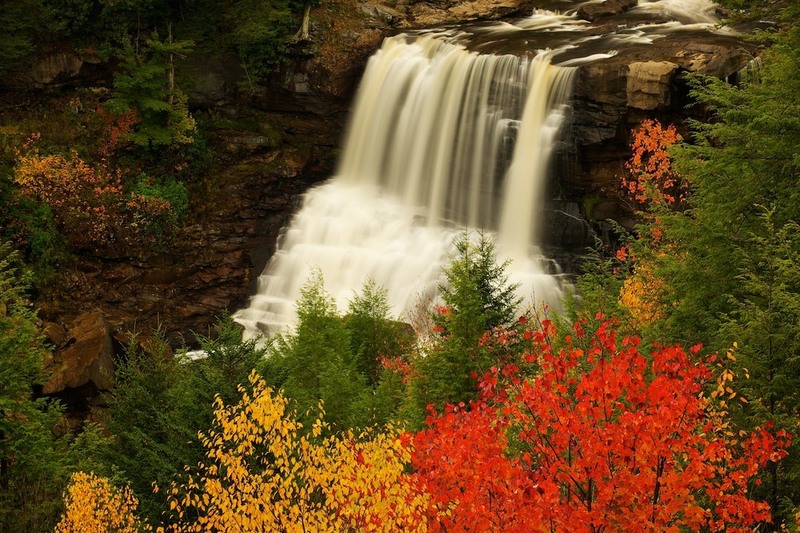 We'll have convenient access to Blackwater Falls State Park, Canaan Valley State Park, Dolly Sods and the Monongahela National Forest. The area offers diverse subject matter, from mountain top landscapes to dense forests and waterfalls. Ground fog creates mysterious landscapes. Rushing rivers reflect brightly colored leaves, painting the water in vivid colors. Throughout the workshop Corey is out in the field working with participants for extended periods of time. He'll be assisting attendees and answering questions during the photo sessions. Corey is there to help you build your photography skills and creative vision. Small groups allow him to work with everyone individually in the field. In between photo sessions we'll have "classroom" time where you'll learn from presentations, critiques and software demonstrations (digital workflow, image optimization, plug-ins). Photo critiques are a great way to learn how your images can be improved, as well as see how other people photographed the same location. The workshop runs from Thursday afternoon through Sunday morning. We'll get to the right locations at the right time to make the most of the light, land and subject. Corey knows where to find the best subjects and scenes, and how to take advantage of the weather and lighting conditions. Meet at 5pm for an orientation, discuss the schedule, have an instructional presentation and answer questions. The two full days of the workshop will be a combination of going out to photograph and learning from presentations and critiques. We'll be out photographing from sunrise to mid-morning and again from late afternoon until sunset. In between the photo sessions we'll have classroom sessions. The exact schedule and locations depend on the weather and light. Photograph at sunrise/early morning and wrap things up by mid-morning. We’ll be done by checkout time at the hotel. A $200 deposit is required to hold your place. The remaining balance is due 45 days prior to the start of the workshop. The workshop price is for instruction only. All other expenses such as food, lodging, transportation and incidentals not included. More than 60 days prior to workshop start: Full refund. 30-60 days prior to workshop start: Payment refunded minus deposit amount. Less than 30 days before the workshop start: No refund, unless someone is found to fill your spot. It is recommended to purchase trip insurance. Participants are expected to be familiar with their equipment and understand the standard functions of their cameras such as aperture, shutter speed, white balance and ISO functions of their camera. Detailed equipment and gear recommendations specific to the workshop location will be provided to attendees. Hotel rooms are held until August 31. After this date room availability is not guaranteed. While lodging is not included in the workshop fee, a block of hotel rooms is reserved for the workshop, usually at a discounted rate. Hotel details are provided upon registration; participants make their own reservations. Transportation during the workshop is not provided and you should have access to a vehicle. That being said, during the workshop we try to carpool to reduce the number or cars traveling from location to location. Therefore it’s likely everyone won’t have to use their car, but do not assume this. Let us know in advance if you will not have access to a vehicle during the workshop.